Adapter kit will mate the Scout II manual transmission (T-18, T-19, T-98) to a pre-1986 GM V8. Use this kit together with the GM conversion motor mount kit, to allow a GM motor swap in your Scout II. 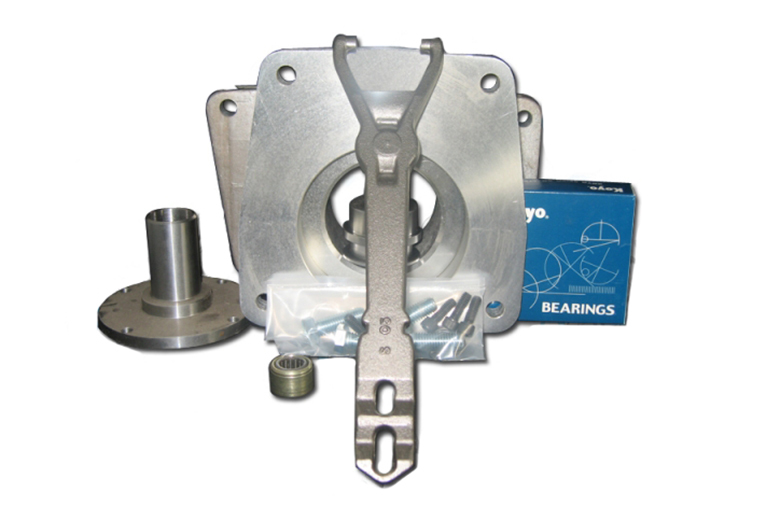 Also called a bellhousing adapter kit. You Will Need SP19444 Pressure Plate To Go With This Kit. Note:picture is of automatic kit, actual parts may very for manual kit.